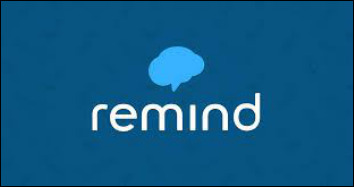 Remind is a free, safe & simple messaging tool that helps teachers share important updates and reminders with students & parents. Subscribe by text, email or using the Remind app. All personal information is kept private. Teachers will never see your phone number nor will you see theirs. TEXT: To sign up for Caledonia Marching Band via text, text @fsmb2017 to 81010. Trouble using 81010? Try texting @fsmb2017 to (248) 987-5359. Don't have a mobile device? Click here on your computer to sign up for email notifications. Facebook is a popular free social networking website that allows registered users to create profiles, upload photos and video, send messages and keep in touch with friends, family and colleagues. It's a great way to stay connected with other band families and students. 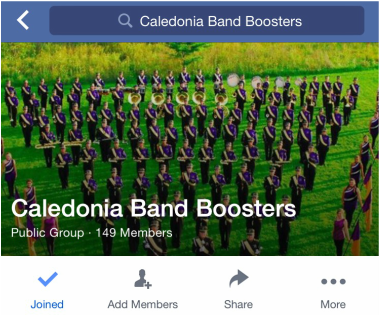 Like us on Facebook at Caledonia Band Boosters. 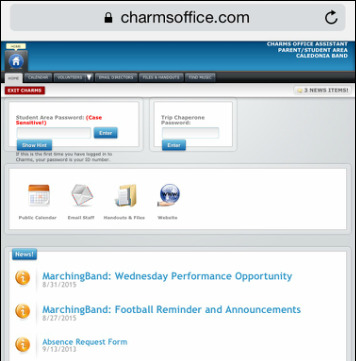 CHARMS is a management tool that lets us keep in touch with you and your students concerning announcements, forms, finances and calendars. While it is not a social media tool, Caledonia Bands does post all volunteer requests and calendar information on CHARMS making it an important part of staying connecting with us. See our CHARMS page for details. Follow us on Twitter @caledoniabands.